We may not be the biggest, we may not be the loudest, but in our six years of producing the Boston Handmade Marketplace we have become the best place to find the foremost creative talent New England has to offer. The Boston Handmade Marketplace is a curated collection of local, independent artists selected to provide handmade works in a range of styles, mediums, and techniques to explore, learn about, and purchase. 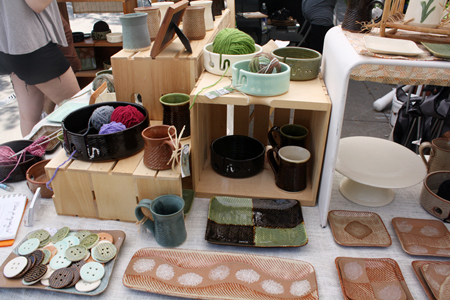 The 2013 Marketplace will feature handcrafted, original, one-of-a-kind and limited edition works in addition to a wide range of DIY activities and craft demonstrations. 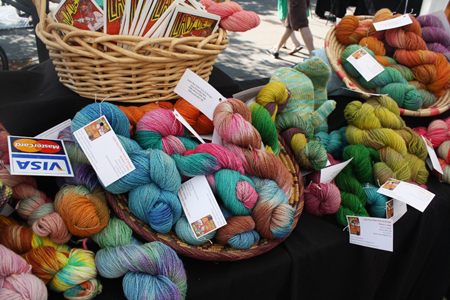 This year our exhibitors will be showing and selling jewelry, ceramics, fine art, textiles, paper goods, handspun yarn, housewares and accessories, along with organizations and craft studios who teach and encourage creativity and craftsmanship representing a wide variety of media and neighborhoods. 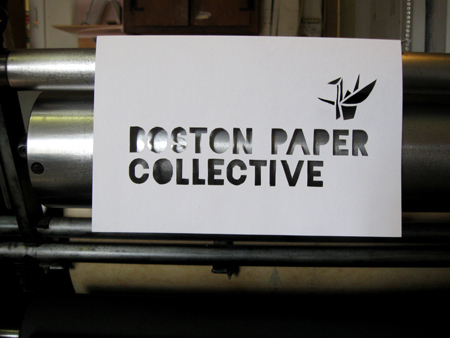 The Boston Paper Collective will be making their Boston Handmade Marketplace debut at this Saturday's event. The array hands-on activities and craft demonstrations will be presented by individual exhibitors and also by local arts businesses including clay art with Mudflat Studio, and printmaking with Muskat Studios, both hailing from Somerville, yarn happenings with The Stitch House of Dorchester and The Common Cod Fiber Guild, and explorations of paper and book binding with The Boston Paper Collective. Also on tap, live music by Somerville favorites, The Grownup Noise and Nowhere Lights. It's all happening THIS SATURDAY, July 13 from 3-7pm in Union Square Somerville (rain date July 14). Visit our website for directions and additional event details: http://bostonhandmade.org/2013Marketplace.htm. Be sure to stop by the Boston Handmade booth to say! We'd love to meet you.